So, the rumours turned out to be true. Nokia have finally confirmed their 22 October event and it turns out that it will not be just any event – it’s Nokia World. As many (including the world famous @evleaks) have guessed or leaked out, the event will take place in Abu Dhabi. Being Nokia World, it is natural to expect couple of new products over there. However, there is still no firm indication on what will be revealed by Nokia at that event although rumours are strongly pointing to the 6-inch Nokia Lumia 1520 phablet and 10.1-inch Nokia Lumia 2520 Windows RT tablet. 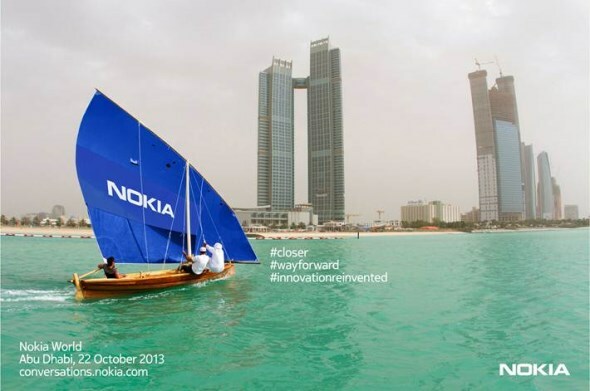 As Nokia is going into a transition period after agreeing to load off their devices and services division to Microsoft, the Nokia World Abu Dhabi should be a very interesting one. Let’s see how it goes then.